The Detroit Police Department released surveillance video of a man using a weapon to intimidate two women in Corktown to hand over their purses. 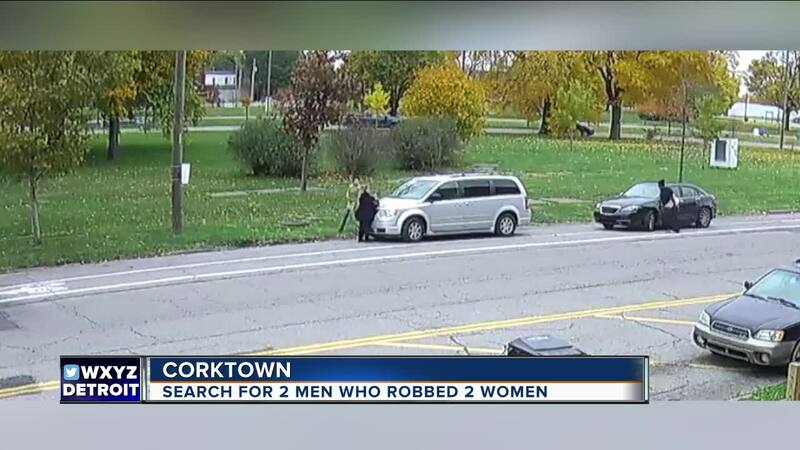 The robbery happened in Corktown near Union Station on November 4th around 4:30 p.m. 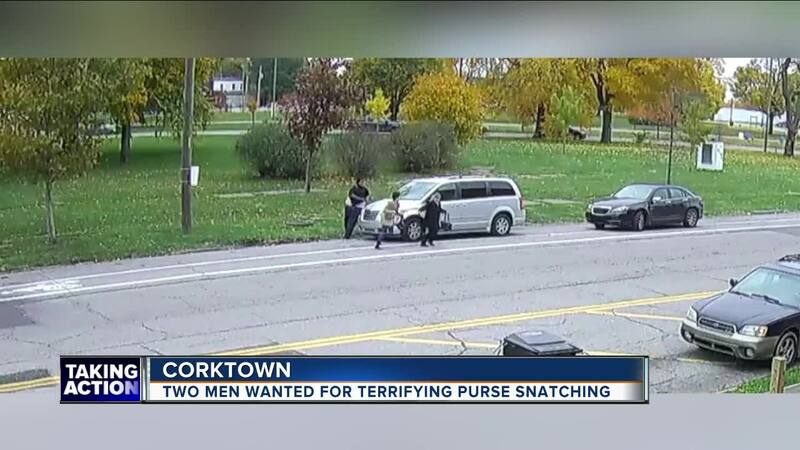 According to police, the two victims were walking to their car when two men in a black Chrysler 200 got out of their car and demanded their purses. The Detroit Police Department released surveillance video of a man using a weapon to intimidate two women in Corktown to hand over their purses. The robbery happened in Corktown near Union Station on November 4th around 4:30 p.m. According to police, the two victims were walking to their car when two men in a black Chrysler 200 got out of their car and demanded their purses. The two women attempted to flee, and that is when surveillance video shows one of the men produced a weapon and followed the victims. In the video you can see the women run across the street, dropping their purses along 14th Street for the men to take. Later that day the two men were caught on camera using one of the victims' credit cards at a gas station. “Desperate times call for desperate measures and some people, when they are desperate, they don’t see any other way other than to attack someone who looks like they might be doing better than they are,” said Tiffany Little, who dines in Corktown often. If anyone recognizes the suspects or has any information, they are asked to please contact the Detroit Police Department’s Third Precinct Investigative Unit at 313-596-1340 or Crime Stoppers at 1-800-SPEAK-UP.